And Listen To 106.9 The Eagle To WIN TICKETS! Randy Bachman stands in rarified air as a member of a very exclusive club of recording artists who topped the charts with two different bands: “American Woman” with The Guess Who and “You Ain’t Seen Nothing Yet” as leader and singer with Bachman‐Turner Overdrive. It’s a club with precious few members. 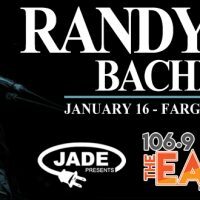 In a career spanning five decades and earning a staggering 120 platinum, gold and silver record awards, Randy’s record sales figures exceed 40 million. His distinctive brand of no‐holds‐barred, guitar‐driven rock is instantly recognizable worldwide. 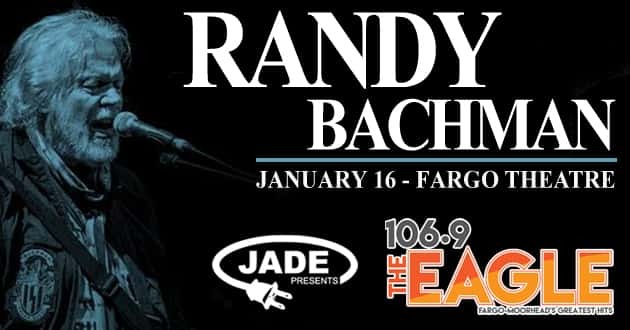 As host of the top‐rated CBC and Sirius XM radio program Randy Bachman’s Vinyl Tap, his listeners worldwide number in the millions each week, earning him the title as Canada’s favourite storyteller. Now, in addition to his ever‐popular songs and the stories behind them, Randy brings to the stage an exciting production honouring the remarkable musical legacy of early mentor, hero and inspiration, Beatles guitarist/songwriter George Harrison. From one master musician to another, Randy offers his own uniquely personal interpretations of Harrison’s best‐known songs in an extraordinary concert experience that you won’t want to miss.